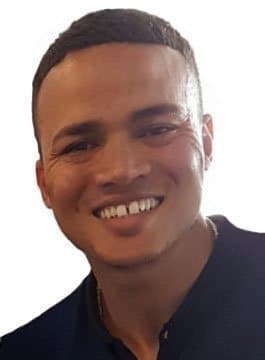 Jermaine Jenas is a former Premier League and England footballer. He started his career at his home club Nottingham Forrest, making his senior debut in 2000. Jermaine’s performances and potential earned him a £5million move to Newcastle United in 2002. He spent three seasons at St. James’ Park, where he won the 2003 PFA Young Player of the Year Award, before moving to Tottenham Hotspur in 2005. While at Spurs, Jermaine played an integral role in the side that won the 2008 Carling Cup. Following a spell at Aston Villa, a brief return to Nottingham Forest, in 2013 he signed for QPR under Harry Redknapp. Jermaine Jenas represented England on 21 occasions including as a part of the 2006 World Cup Squad. He scored the first England goal of Fabio Capello’s tenure as manager, in a 2-1 victory over Switzerland at Wembley. Outside of football, Jermaine co- founded Aquinas Education and Aquinas Foundation. Aquinas is the UK’s fastest growing recruitment agency, specialising in security cleared and teaching jobs working with schools and playgroups. The Aquinas Foundation has a variety of programmes for schools to help tackle areas of concern such as truancy, punctuality and youth crime. Education is a huge passion and priority for Jermaine. Jermaine regularly appears on Match of the Day, Football Focus, Final Score and BBC Radio 5 Live offering fresh insight, analysis and expertise. In addition to his work with the BBC, Jermaine works with Premier League Productions and BT Sport.